Russia’s Deputy Foreign Minister Igor Morgulov urged Friday to reduce political and military tensions on the Korean peninsula in order to put the stalled six-way nuclear talks with the North back on track, the Russian Foreign Ministry said. MOSCOW (Sputnik) — Earlier in the day, the Russian diplomat had a phone conversation with US Special Representative for North Korea Policy, Sung Kim, who called to discuss a way out of the North Korea nuclear stalemate. 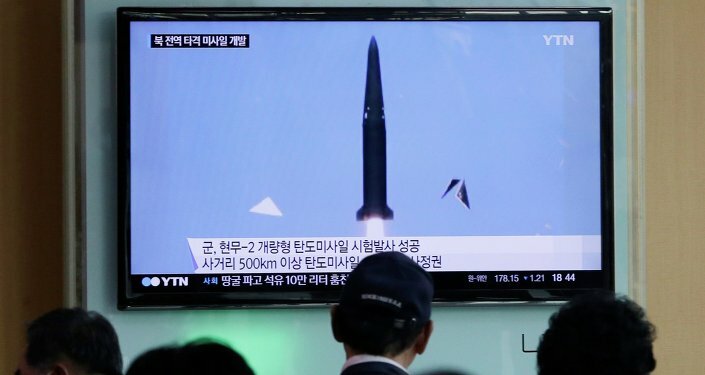 "On the Russian side, there was strong conviction that a restart of the six-way process and a diplomatic solution of the Korean nuclear problem can only be initiated in the framework of a military and political detente on the Korean peninsula and around it," the ministry said in a statement. Both Koreas first sat down at the negotiating table to discuss nonproliferation with Russia, China, US, and Japan in 2003, after Pyongyang had withdrawn from the Nuclear Non-Proliferation Treaty that it ratified in 1985. North Korea declared itself a nuclear power in 2005 and went on to test its first nuclear weapon the following year. The North’s second nuclear test in 2009 forced the talks into a dead end.